Martha Stewart attends American Magazine Media Conference 2019 on February 05, 2019 in New York City. For her footwear, Martha Stewart kept it relaxed in a pair of wedges. 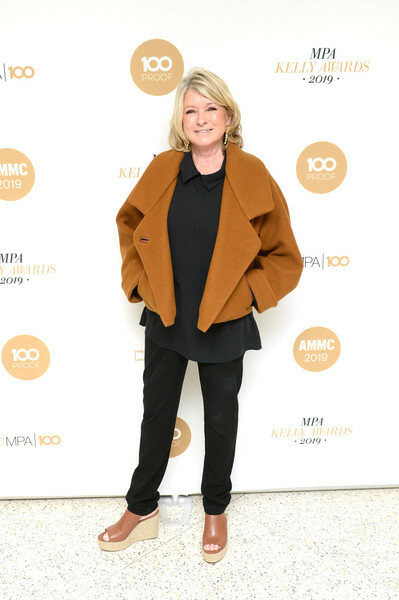 Martha Stewart teamed black slacks with a matching top and an ochre jacket for the American Magazine Media Conference 2019.